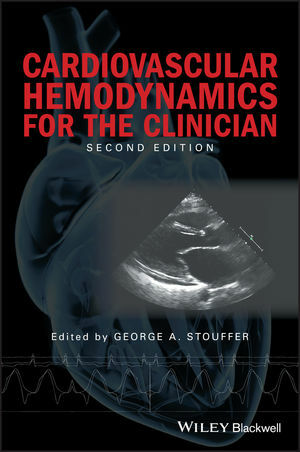 Cardiovascular Hemodynamics for the Clinician, 2nd Edition, provides a useful, succinct and understandable guide to the practical application of hemodynamics in clinical medicine for all trainees and clinicians in the field. George A. Stouffer, MD, FACC, FAHA is Chief of Cardiology and the Henry A. Foscue Distinguished Professor of Medicine at the University of North Carolina. He served as Director of the Cardiac Catheterization Laboratories and Director of Interventional Cardiology for 14 years before assuming his current role. He has published three textbooks and more than 120 articles including several dealing with the hemodynamics of heart disease.